THIS PICTURE WAS COMMENDED AS TOP 50 IN THE WORLD IN THE AWARDS OPEN WILDLIFE CATEGORY BY THE JUDGES OF THE 2017 SONY WORLD PHOTOGRAPHY AWARDS. 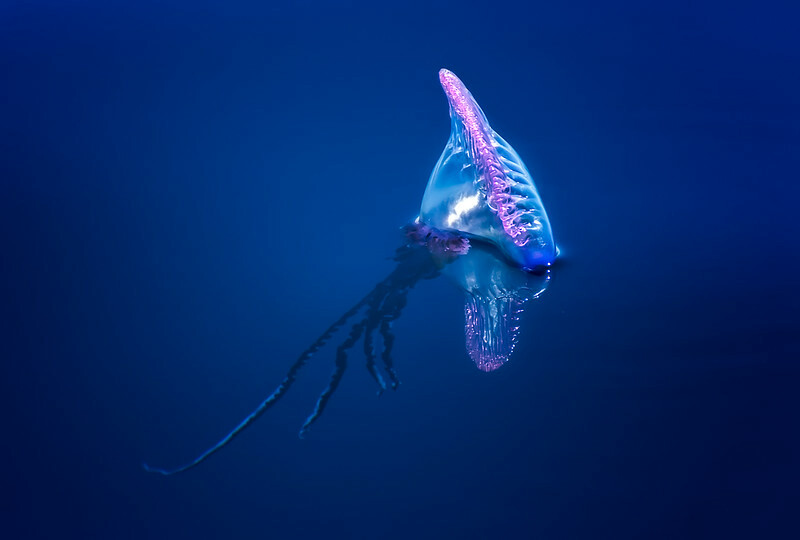 Often incorrectly defined as jellyfish, the Portuguese Man o' War (Physalia physalis) is a siphonophore - a colonial hydrozoan. Their tentacles can deliver very painful stings, whereas the bell is completely harmless. I took this shot while the Man-o-war was floating on the water surface a few miles off the south coast of Pico Island (Azores, Portugal). We were actually waiting for the next Sperm whale to surface and, at first, I did not pay too much attention to this beautiful animal slowly drifting away from the boat. The Portuguese Man o' War is very commonly sighted here in Pico but, having nothing better to do, I decided to take a few shots of it. While immediately pleased by the shot, It is only later on at home that I fully realised that I had got an image with a very abstract mood from a 100% real photograph! Smooth, non-breaking wavelets on very calm seas led to the unusual reflections. 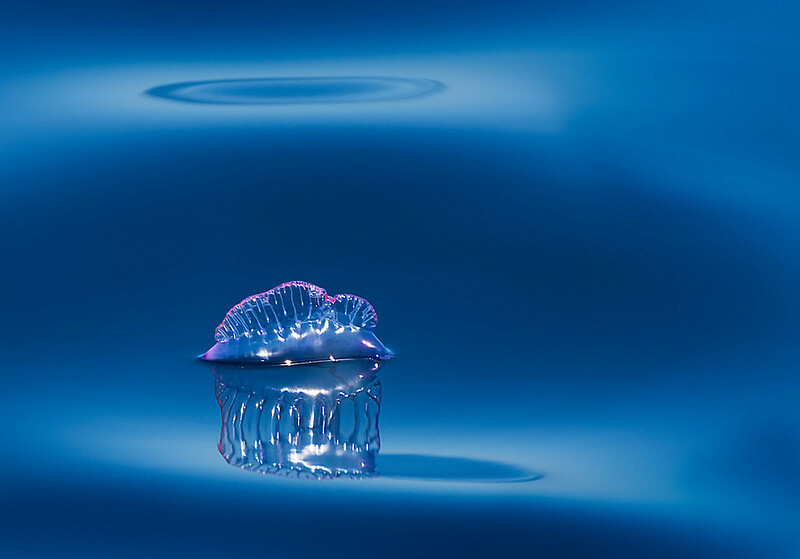 The ocean always holds many surprises and, about an hour later, I had the opportunity to photograph a second Portuguese Man o' War in the same type of conditions (see below). This shot received an Editor's pick on Gurushots.com.